Are you interested in a career that spans Southeast Asia and possibly globally? Would you like to work in a major multinational companies with offices all over the region? 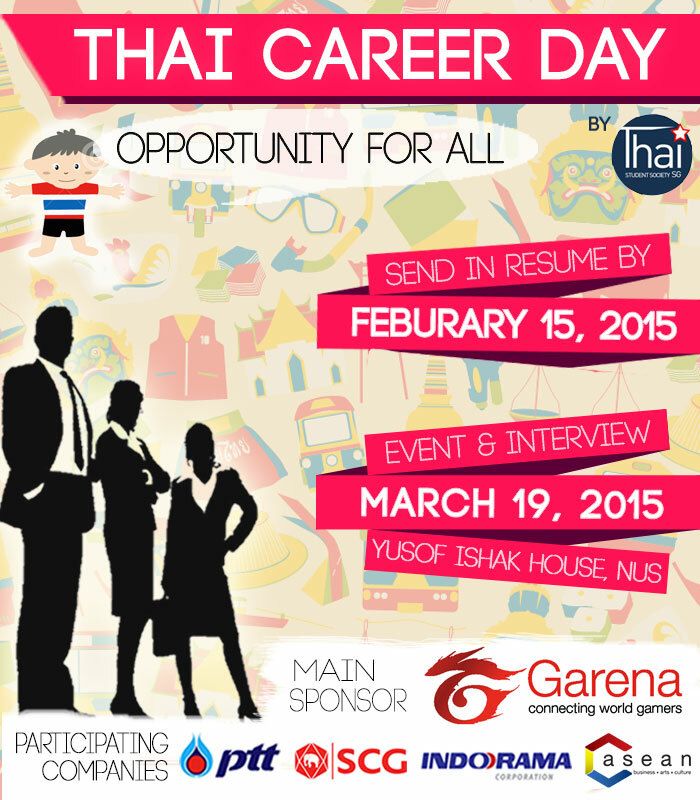 Thai Student Society Singapore and Thai Language Program at NUS would like to invite everyone to join us for our Thai Career Day 2015, held on 19 March at Yusof Ishak House (YIH), NUS. Several well-known Thai MNCs would be coming down to give information about their companies and answer questions from the audience. They would also be conducting interviews for potential candidates on the day itself.